Building on the GTA Online concept, Rockstar Games is creating a new realm for Red Dead multiplayer. The main difference? This one will be released as a beta. GTA Online had quite a rocky start. The addition was nearly unplayable for quite some time after release. 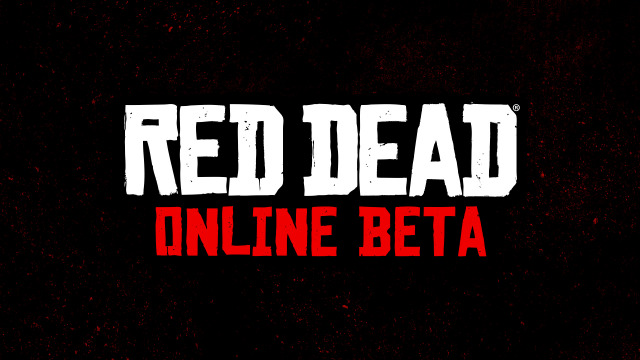 Rockstar has learned from that and will be releasing Red Dead Online as a beta in November 2018 - what many think GTAO should have been. Although it's strange to see an "unfinished" product come out of Rockstar Games, it's for the best and good to see that they can admit when something is going beyond their capability. Of course this means they will be looking for feedback from the community as things progress. This is not a closed beta. Everyone will have a hand in making Red Dead Online great. There is very little information about Red Dead Online available right now but we assume it will literally be the Red Dead equivalent of GTA Online. For most, that means an awesome experience having the entire game world at your disposal with friends or strangers to have fun completing tasks or just killing each other. For others, that probably means a constant drip-feed of small content over the next few years while we eagerly await the next big title from Rockstar. Hopefully, the Red Dead Online content will be more interesting and keep us preoccupied. We'll see. Hopefully we'll see a smoother release than GTA Online.